If you are looking to up your gadgets for your mobile gaming or trying to get into it, now would be a perfect time. As smartphones get more and more powerful, you can have a gaming console or pc gaming experience on the go. GameSir’s G5 controller and Z1 Keypads can do just that, especially for MOBA games or shooting games like fortnite and Player Unknown’s Battlegrounds. 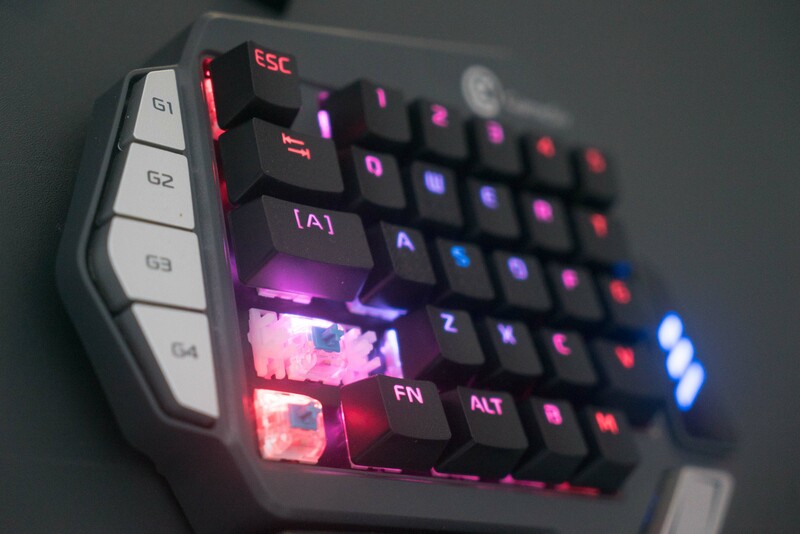 We want to start with the GameSir Z1 Keypad because it is probably the best keyboard designed for mobile gaming we’ve seen. 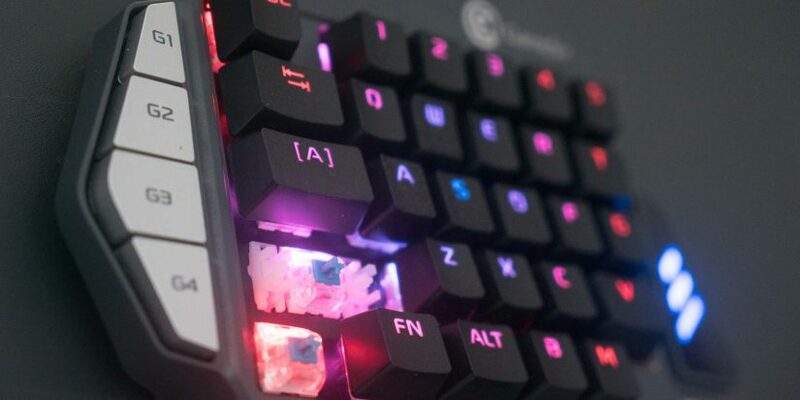 However, we have to be clear, this is a keyboard designed for first-person shooter games. It could be connected to a PC, but it works better with mobile phones. Users would also need a mouse to go with it. The interface design is great. The combinations are programmable by the users. It is a beautiful product includes 29 RGB keys. Users have the option of four different backlighting profiles. What we like the most is the mechanic and the build of the keys. The key switches feel amazing. It is smooth, sensitive, and feels just right on the tip of your fingers. The Z1 uses Cheery MX Red/Kailh Blue Key Switches to achieve that. The ASWD keys have a different texture to add more friction. The keyboard looks very durable and could last for years. You can connect with your phone wirelessly via the GameSir app. The connect is stable, and last a good amount of time. You do need some additional purchase to go with the $79.99 keypad, including a mouse and a cell phone stands. The only thing about this keyboard we didn’t enjoy was carrying it around. It is a little heavy and takes some space for you to set up. So, if you are planning to play it on a long bus commute, it might get a little difficult. Now let’s talk about the G5 controller. If you have been keeping touch with the mobile game accessory game, you probably have seen a lot of frustration with the controller. The G5 is an upgrade from its previous model. It connects wirelessly to your cell phone, and 33 customizable functions buttons can give you a slight edge against other players. However, what makes the G5 different is the replacement of the right-hand joystick and buttons layout. On the right-hand side, the control features a full haptic trackpad to mimic a touch screen on the cellphone. This is a risky move for GameSir because it takes away from the familiar layout for console gamers. It also makes non-MOBA or FPS games less compatible with the controller. Upon testing it, the controller performed well on Android, but not so much on IOS. For both Fortnite and PUBG, we’ve got kicked off the game because the system detected an emulator was used. So, if you have an iPhone, we would say this is a deal breaker. For Android users, what we can take out is, in short, the trackpad works, just not as well as your smartphone screen. It is sensitive and responsive, but it doesn’t give the same physical feedback of a button. It will take some time to get used to for sure. However, once you get used to it, the combination of eight physical buttons and the touchpad could be a lot faster than the traditional design. However, while Game Sir tried to go with a bold new design, we are not convinced it would work for most players. the touchpad doesn’t feel that nice on the skin, and players have to be careful with where they place their fingers to avoid accidental touch. Overall, for the G5 controller, if you are an android user, and willing to spend the time to get used to the new interface to exclusively play MOBA and FPS games, this controller works for you. It also offers the versatility of connecting to a keyboard for $69.99 on Amazon.